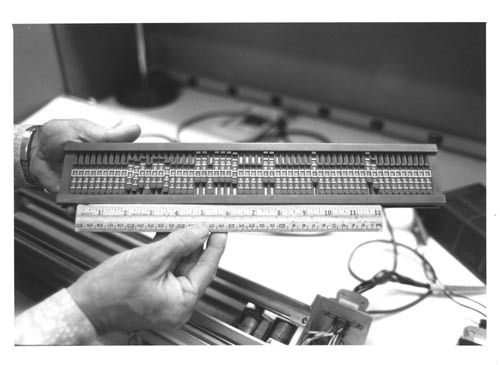 B&W image of a Turning Machine physical implementation. Input o's or 1's are set up on by switches a rectangular tray (representing Turing's tape). An electrical motor moves a sensor along the switches and the status of the switch is sent to a controler which determines the next action. A hand is holding the tray with a ruler for scale.